SuperPlanet Crash: Create the best solar system! 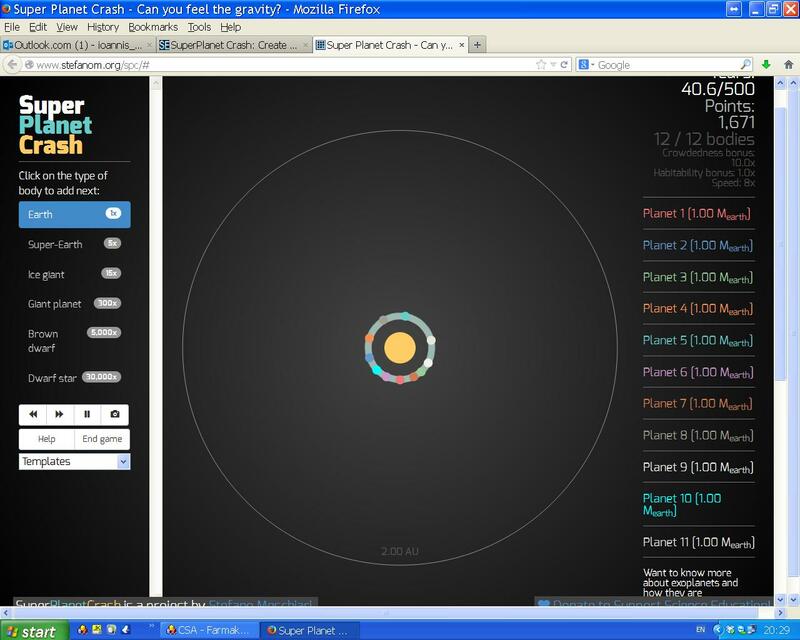 This minigame is about creating the solar system that will get you the most points. You have to make a stable system over 500 years, with the simple rule: the more massive, the more points you get. You have multiplicators for, for example, a planet being in the habitability zone. Who will have the best score here? Only got that when it bugged out and didn't spawn the first planet. 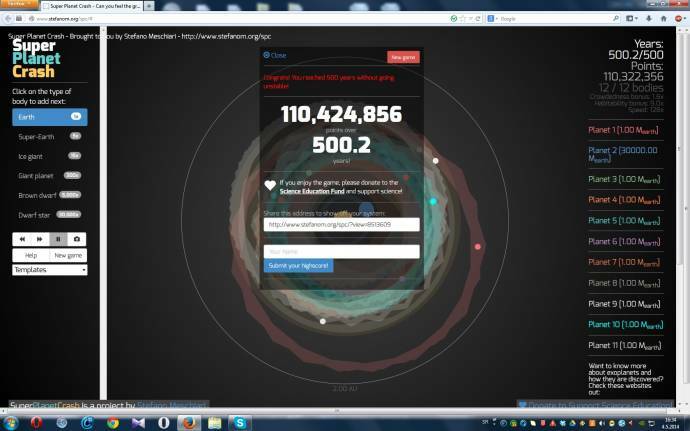 9,850,243 points over 91.9 years! This is 107,184 points/yr, so I could've been up to 53,592,182 points if everything didn't lagged out because of timewarp. 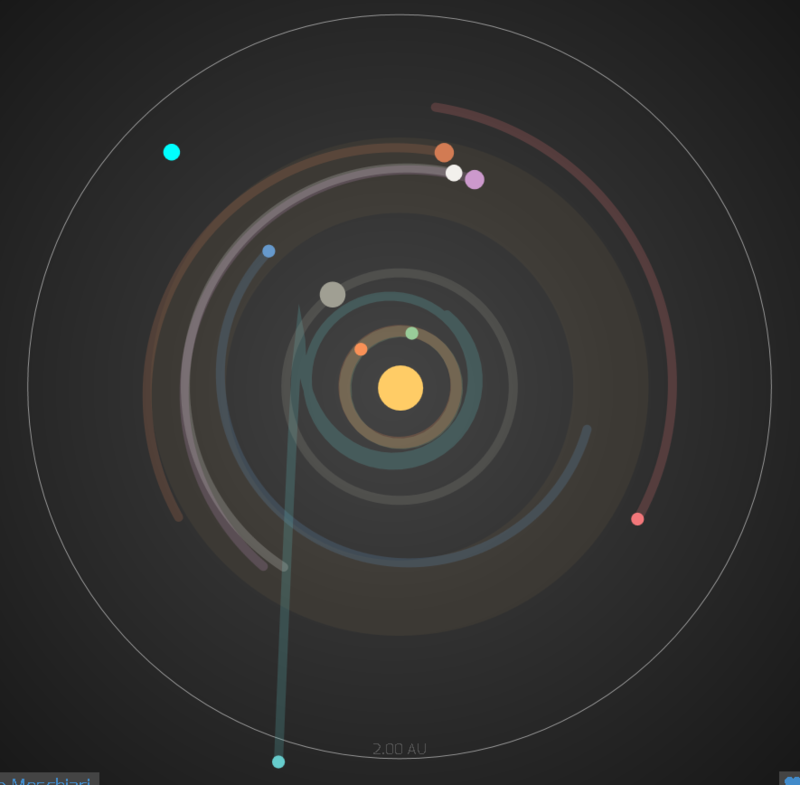 Just restart a game until you got an earth-mass planet close to sun, then add a dwarf star at the edge, and run. The technique seems to be to spam Ice Giants around the barycentre of a binary star system and hope for the best at 128x warp.